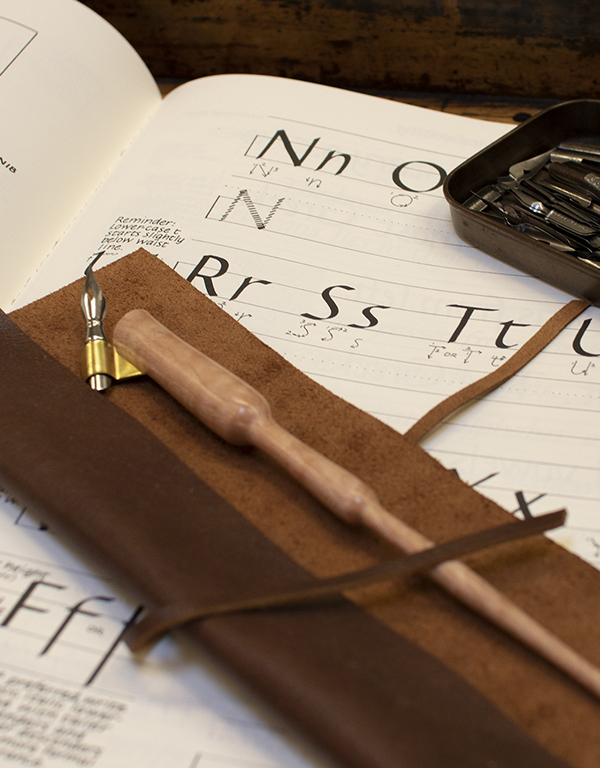 David Grimes runs a traditional calligraphy and letter design studio in Portland, Oregon. His calligraphy and hand lettering has a large following on instagram and his work and classes are also featured on his website. We are lucky enough to have a few of David's beautiful, hand-turned nib holders in our store and wanted to catch up to learn more about him as well as these one-of-a-kind products. How and why did you become a professional calligrapher and letter designer? It was a really gradual thing. I started my creative career as a graphic designer and was really focused on web and mobile app design. Over time, that started to wear me thin, and I began really pushing myself to try new creative things. I came across a brush calligraphy video on the internet and was intrigued immediately. That first year I spent a lot of time trying to decide what aspects of calligraphy were most interesting to me (for there are many) and it wasn't until about 2014 that I started actually moving towards achieving a high enough level of skill with the pen to even consider pursuing a career in it. Being a 'professional' calligrapher is really just a matter of getting to a point where you can start to confidently take on the different types of jobs and positions that are available. At the very beginning that can be filling out some cards for family friends or colleagues at work, and at the more advanced level can be large commissions for museums, government officials, or international organizations. I was really attracted to the accomplishment that one can experience as skill is obtained. The bigger jobs come naturally when you're ready to handle them. That being said, there are plenty of jobs I'd still turn away for lack of experience/confidence. What inspired you to make these nib holders? Did you have prior woodworking experience? When I first began studying penmanship, one of my close friends sent me a box with some samples of her writing, a number of photocopies from a historical calligraphy book called The Zanerian Manual (which you can download for free at here), and an old pen holder that she wasn't using anymore. I remember opening the box and being so excited and touched that someone would go out of their way to help a newcomer like that. The holder stood out to me, especially, because it was one that she had written with and passed on to me. The tools of a craftsman hold artistic memory. I was excited to give that same wood some of my own memories. Turning pens on the lathe is a bit scary if you're not used to working with power tools, but you get used to it fairly quickly. The most intimidating part is that the wood spins toward you quite fast, which is what allows the pens to be made symmetrical. I'd grown up in a woodshop and had taken multiple years of woodshop in High School. Regardless of if it's with a pen and ink or a lathe and chisel, I like to keep my hands busy. My business has changed a lot over the last few years. When I first began making holders, I was handling a lot of commission work and the time I got to spend on the lathe was a welcome break from the business of letters. I made a lot more pens that year. Nowadays, I have nearly 300 active students in a script program that I've designed to teach a formal American Calligraphy style known as Engrosser's Script. I do still create pens, but my process has become a lot more involved. Nearly all work is custom. These days, I turn out less than ten pens a year unless it's for a special order or big occasion. Do you have any upcoming events we can share with our audience? 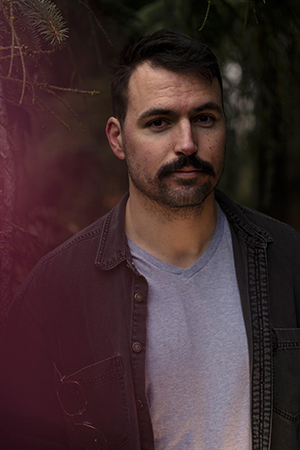 I don't teach in Portland, too often, but I'd highly recommend that anyone interested in learning Engrosser's Script considers taking a look at www.dreaminginscript.com and searching #dreaminginscript on Instagram to see what some of the current students are up to. We have some really talented people in the class that are showing excellent promise. Other than that, keep an eye out at Moments byNorri, cause she's got me on the hook for a single day workshop sometime in the next few months. How will you celebrate National Handwriting Day? I'll be working with several of my students like most days, as well as taking a bit of time to put together a little booklet of my progress in Business Penmanship progress over the last few months. Improving my default handwriting (as opposed to my calligraphy) is one of my 2019 goals, so It'll be nice to have something to look back on in 2020. Later in the evening, I'll be at OMSI After Dark with a few calligrapher friends writing names on bookmarks for people. Come say hey if you find yourself in the neighborhood! 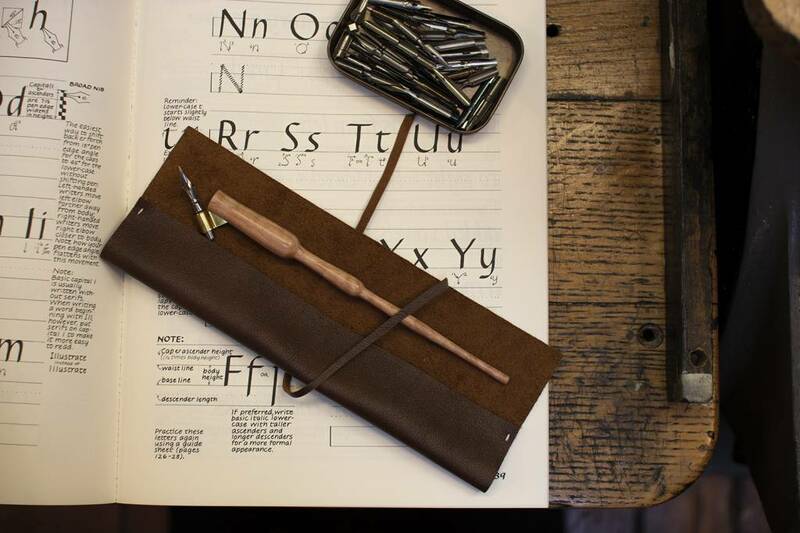 We currently have only three hand-turned nib holders remaining, available in our store and online. Check them out here!